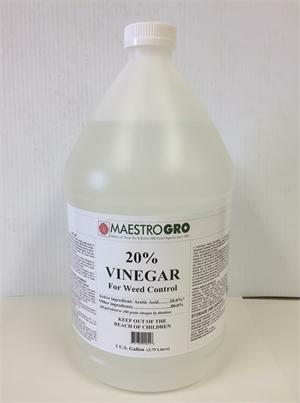 VINEGAR 20%, 4 GAL CS, $73.50 SHIPPING INCL. Home > Vinegar/Liquids > VINEGAR 20%, 4 GAL CS, $73.50 SHIPPING INCL. 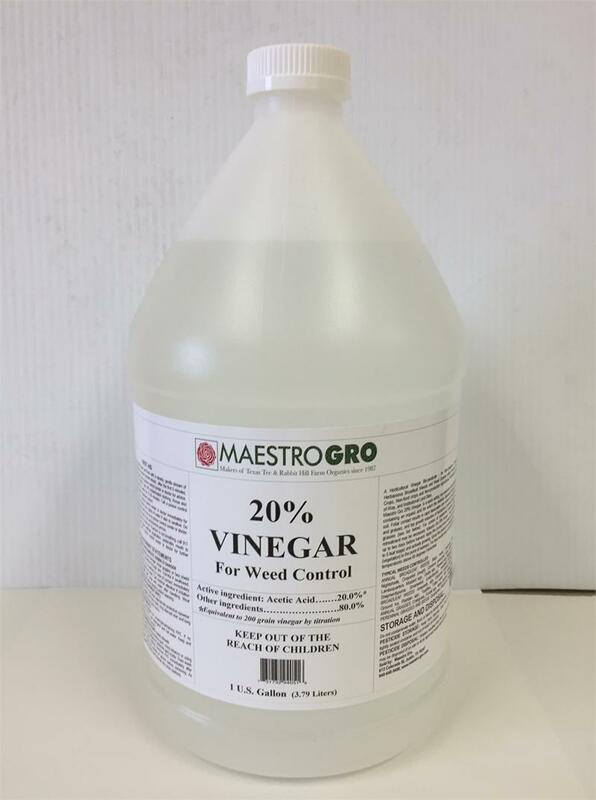 20% Vinegar is a quick acting, non-selective contact herbicide containing an organic acid which degrades promptly in the soil. •	Contact with vegetation results in rapid burning and drying of annual weeds and grasses and top growth reduction of perennial weeds and grasses. •	For control of established, mature vegetation, retreatment may be necessary. •	Because of its rapid biodegradability, planting or re-planting can be done within 3 hours. Annual Broadleef Weeds: Black Medic, Chickweed, Black Nightshade, Cinquefoil, Common groundsel, Hairy nightshade, Lambsquarters, Mustard spp., Oxalis spp., Pigweed ssp., Ragweed ssp., Shepherdspurse, Smartweed (ladysthumb), Velvetleag. Perennial Broadleef Weeds: Amaranth spp., Cinquefoi. (silvery), Dandelion, Ground Ivy, Plantain spp., Toadflax, Tufted vetch, Wild carrot, Moss. Annual Grasses: Crabgrass, Foxtail spp., Italian ryegrass, Poa annua. Perennial Grasses: Quackgrass, Witchgrass, Bluegrass.